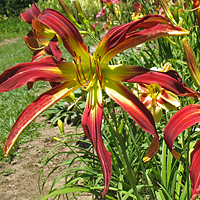 Hemerocallis ‘Carolina Octopus’ is a 2004 introduction that is over 65% polymerous. 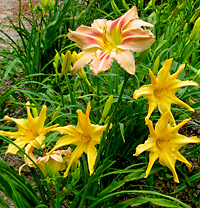 H. 'Carolina Octopus' has become the most recognized and proven daylily in the advancement of high percentage poly-UF's and poly-spiders since it was introduced in 2004. 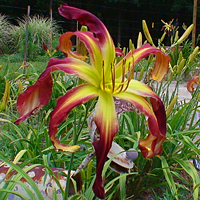 In fact, H. 'Carolina Octopus' is listed in the top level parentage of seven high percentage polymerous registrations including H. 'Carolina Starfish', H. 'Counter-Terrorist', H. 'Fractured Symmetry', H. 'Moosa Pa Loosa', H. 'Redefining Genetics', H. 'Secret Agent Babe', and Don Herr's 2013 introduction H. 'Poly Want A Cracker'. 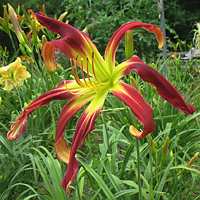 H. 'Carolina Octopus' begins blooming in the early season with huge 10 inch flowers on 28 inch scapes. 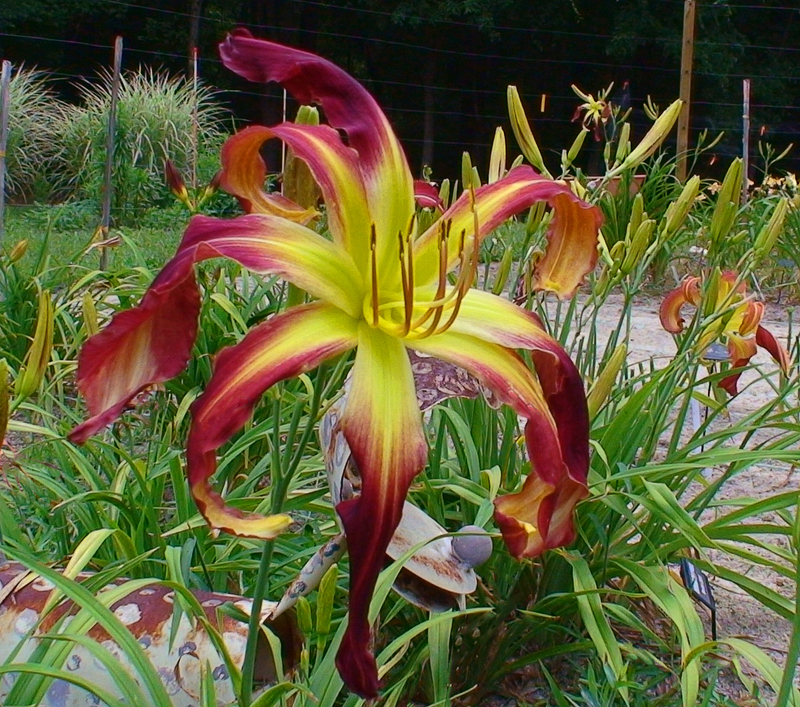 I registered the polymerous nature of the plant at 65%, however, over the years it has reliably 80% in my garden. 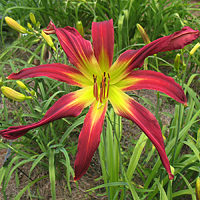 This dormant daylily is brilliant red with a chartreuse throat. 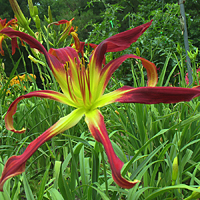 Its foliage is thin but wait until you see those blooms. 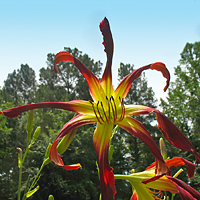 H. 'Carolina Octopus' is spans registration classifications as not only is it polymerous, it is also a true spider with a ratio of 4.17:1. 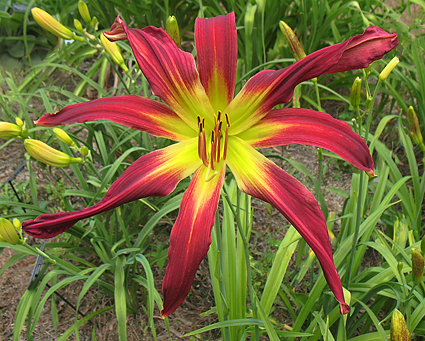 The parentage of this beauty is H. 'Starman's Fantasy' × H. 'Almost Paradise'. 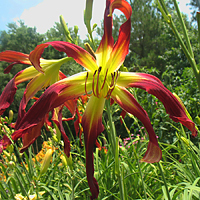 It is also both pod and pollen fertile and it the original flower that started me in the development of "eight-legged spiders." 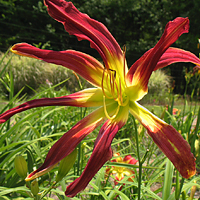 H. 'Carolina Octopus' is one of my most in demand flowers and availability is always limited.